Waves of heat dance across Gustavo Villarreal’s back as he plucks cucumbers from their stalks and loads them into a plastic bucket. He shuffles a few feet down the narrow strip of soil, one of many that separate acres of cucumber rows in the Wisconsin field. More steps, more cucumbers. Back and forth Villarreal and his family walk, under the gaze of an unforgiving August sun. 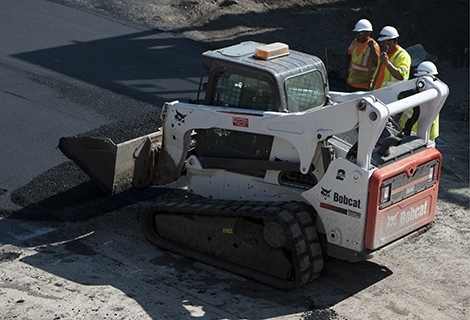 Gustavo Villarreal stands with four of his workers next to his Bobcat compact track loader. “I knew I didn’t want to pick cucumbers my whole life. I knew there wasn’t a future in that. Since I was a kid, I always wanted to better myself,” Villarreal says. Villarreal traveled with his family from Del Rio, Texas, to Wisconsin and Illinois each April to pick cucumbers and asparagus before returning home in September. After eight migrant worker seasons, Villarreal decided to seek a different way of life for himself. 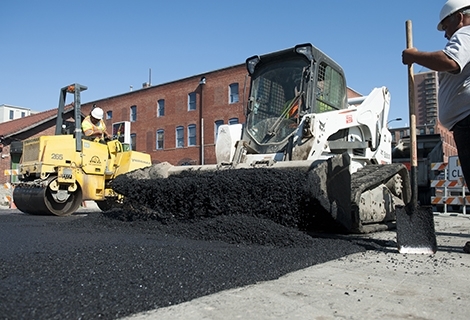 Villarreal enrolled in a one-year auto mechanics program, and, when he was unable to find a mechanics job after graduating, he took a construction job at Des Moines Asphalt in 1978. 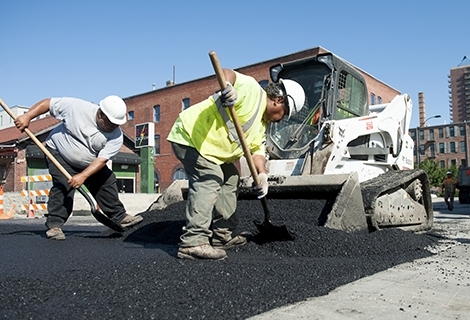 Surrounded by workers who had decades of asphalt experience, Villarreal began teaching himself the trade by observing their techniques. Then, after five years as a laborer, Villarreal caught his break. 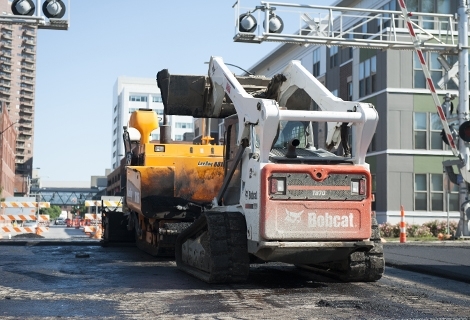 When one of the equipment operators became sick from the heat, Villarreal volunteered for the job. Hearing coworkers discuss what they wish they were doing besides working motivated Villarreal to examine his own goals. 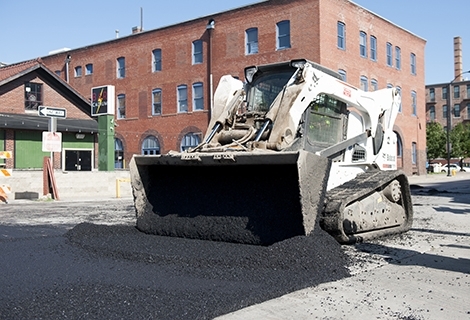 So, when he was 39, Villarreal took a risk and decided that the following year would be his last at Des Moines Asphalt. 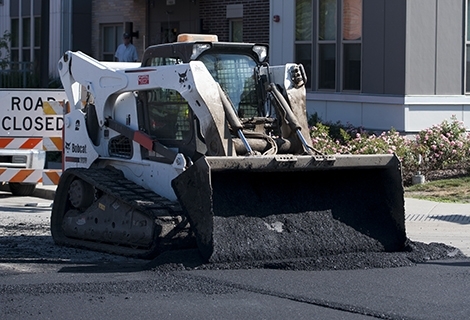 “I told them, ‘Laying asphalt is easy for me, there’s nothing hard in it. I need more of a challenge,’” he says. 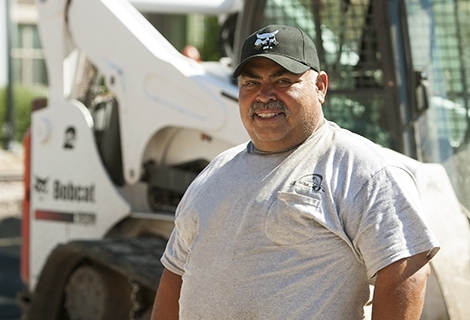 After leaving Des Moines Asphalt in 1999, Villarreal worked for landscaping and site development companies while starting his own side business, Paco Construction, with just a wheelbarrow and a shovel. 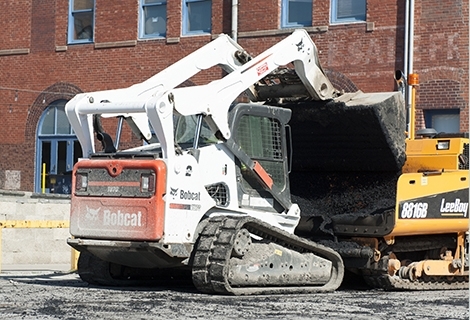 In 2000, Villarreal bought a Bobcat 763 skid-steer loader and started constructing retaining walls. Then, in 2004, he began pursuing his business full time. 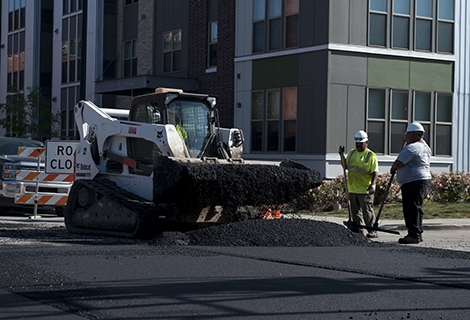 Today, Paco Construction focuses on commercial, residential, and city work for the city of Des Moines and surrounding communities, patching and laying asphalt for small city streets and putting down concrete slabs, sidewalks, approaches and trails. 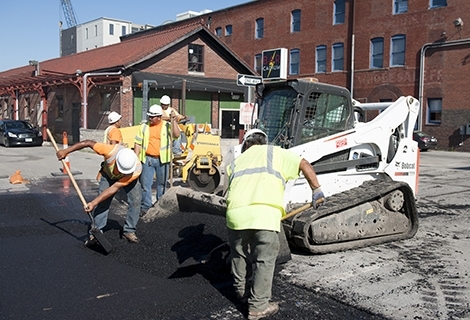 Villarreal also does a fair amount of sub-contracting work through his former employer, Des Moines Asphalt. Providing a better life for his family was one of Villarreal’s main motivators to start his own business. He didn’t want his own children to have the migrant life he had as a child. Paco Construction employs 12 full-time workers, including two of Villarreal’s sons. A grandson also works there during the summer when he’s home from college. Villarreal says his parents are proud of how much he has achieved.